Being great at content marketing was harder to do in 2016 than ever before. That's because there's more content in more places, with more topics and more faces. And that trend isn't going to stop in 2017 – it's only going to multiply. Get ahead of the competition by understanding how to take a more nuanced, informed approach, so your content works smarter and harder. 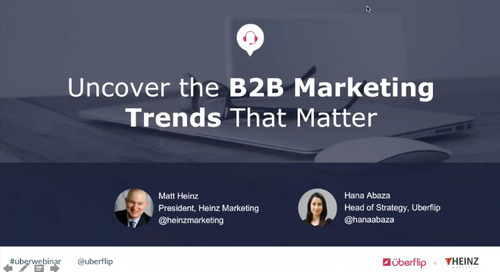 Spend an hour with Uberflip's Hana Abaza and Jay Baer from Convince & Convert diving into seven (at least!) 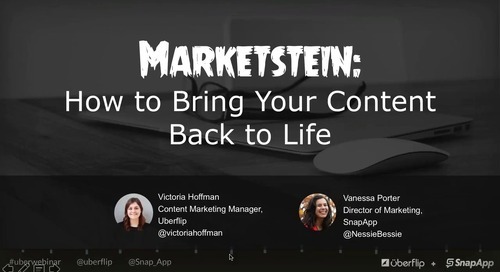 content marketing trends that you cannot afford to ignore going into 2017.